Will preventing 'radicalisation' mean the death of debate? The government’s ‘Prevent’ strategy sees the sudden psychological ‘radicalisation’ of vulnerable children and young people as the cause of today’s apparently meaningless acts of terrorism. It has turned teachers and lecturers into spies looking out for signs of ‘radicalisation’ including signs of unusual behaviour and mental illness. 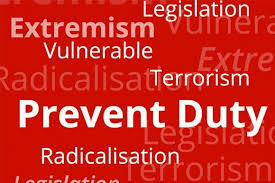 ‘Prevent’ has many critics who often condemn it as ‘Islamophobic’ for targeting Muslims, while its supporters claim that the aim is to prevent terrorism in all its forms including that of extreme right or ‘Fascist’ groups and that of individual fanatics. But is the idea behind ‘Prevent’ ineffective because it is essentially passive? Watching, waiting and hoping are hardly inspiring activities. The celebration of freedoms, of fun and the enjoyment of life are what will challenge the tendency to nihilistic, misanthropic and often self-hating acts of violence. Instead of active assertion of values, lecturers and teachers are required to create an Orwellian climate of suspicion and fear. Some even welcome their community safety roles and go about seeking out supposed signs of radicalisation. A duty to report suspicions to the police and other authorities leaves teachers and lecturers in a morally shameful state. Their only weapon in response to the challenge of narcissistic and nihilistic extremism is to use the one ability that any teacher or lecturer worthy of the name has, the ability to discuss and debate every issue, however ‘sensitive’ or ‘offensive’ it may be. That includes the necessity to debate ‘Prevent’ and its implications without looking constantly over your shoulder. Teachers and lecturers have a choice, either they can live in fear and spread fear, or they can speak up and say what they think and encourage pupils and students to speak freely. At this Battle of Ideas satellite, sponsored by AFAF, we will uphold the motto of the Institute of Ideas: ‘Free Speech Allowed!’ and let nothing prevent people from speaking up. Come along and keep debate alive. Date, Time and Venue: Tuesday 8 November at 7 PM, in the Hallmark Midland Hotel, Derby. Tickets £5 (waged) £3 (unwaged) available on Eventbrite.